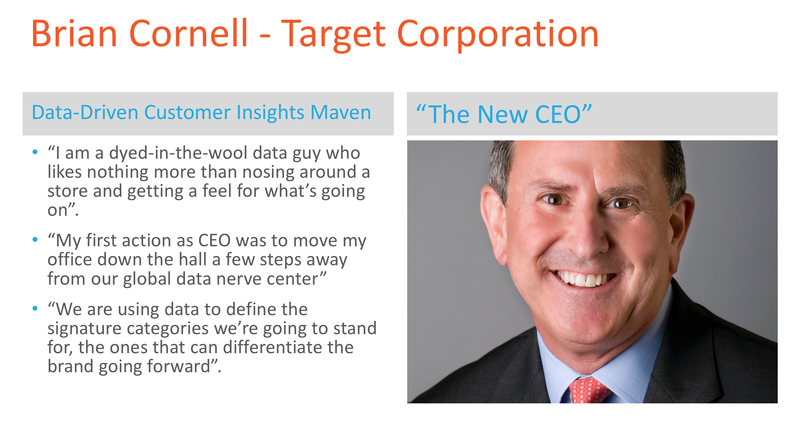 It’s been a while since my last update on the Eight CEO Leaders featured in my series; “Profiles in Data Leadership”. 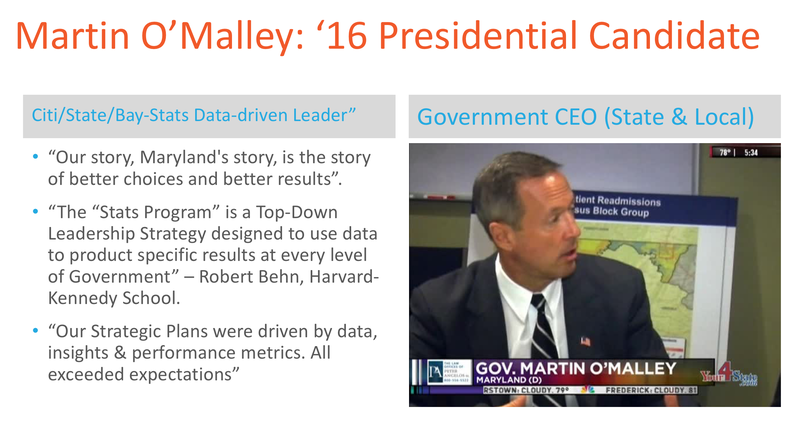 I am actively working on a presentation for this Fall’s “Data Leadership 2015” conference in London where I will discuss each one of these data leaders in the context of “2015 – The Year of Data Leadership” (that’s a lot of references to Data Leadership isn’t it?). I thought that I would provide a taste of what will be discussed in November through these 3 short overviews. Hope you enjoy it. An old American idiom says: “You have too many Chiefs and not enough Indians”. “This issue of Information Age begins my 3rd year as Resident Thought Leader, “Hype Debunker” and advocate for Top-Down Data Leadership. Over the past two years I have covered a variety of topics in my monthly column, many of which I believe still remain front of mind for you the reader. The one topic that continues to occupy my thinking is that of the madness known as “The Chief Whatever Officer (CWO) Syndrome”. 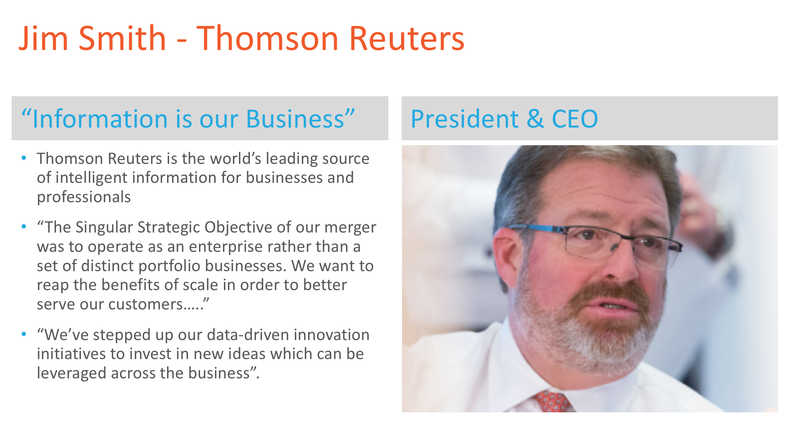 It began with the drumbeat for having a “Chief Data Officer” and has grown substantially in all directions. We are now approaching 100 of these CWO roles, which are being advocated by every pundit, analyst, consultant, recruiter and media hack out there, along with an army of “wannabes” who feel eminently qualified to fill one of these roles. To me, it is an absurd notion that we need to define & hire/designate someone as a “Chief” each time a challenge or opportunity arises that requires Leadership attention & accountability. Isn’t this what we pay the big bucks to the CEO and his/her Team to do? Why do we need a Proxy Leader who is at best only partially responsible for a particular function associated with their role, when we have a CEO & Board who are fully accountable for all strategic outcomes? More importantly one might ask: “How did we get here?” I will attempt to answer all of these in the remainder of my column. As way of background; over the course of management history we have had an organizational structure that mimics how humans behave i.e. hierarchically. During this time there has always been Senior Leaders at the very top of the Organization with a hierarchy of subordinates cascading down through the logical number of levels required, until you reach the front-line worker. This construct was based on the so-called Knowledge Tree as well as being driven by the practicalities of Span of Control. It has been a workable construct in spite of the dynamics faced by most Organizations in their daily operations and over a long history. Over time these Senior Leaders were denoted as “Chief Officers” in respect to their area of accountability e.g. Executive (CEO), Operations (COO), Finance (CFO), etc. Each Senior Leader had a well-defined remit of functions & activities that they were responsible for and all reported into the CEO (who in theory then reports to the Board) in terms of accountability. This structure has been the status quo in all Organizational sectors for many decades and I suspect it will be for many more to come in spite of the zeal for so-called Disruption. What has become an affront to this harmonious organizational structure is the zeal & ferocity with which non-management thinkers have begun promoting the hiring of Chief Whatever Officers at every turn. We now live in a world where they believe that Organization’s needs handfuls of these non-executive Proxy Leaders to “own” core competencies such as; data, digital, analytics, customer, compliance, security, etc., etc., all without any final accountability. They also advocate that one Chief Whatever Officer should report to another in some bizarre construct. Enough is Enough! We need to end this tyranny and get back to the basics of Top-down Leadership. If we truly want the evolving competencies of data, analytics, digital, etc. to be fully transformational and to use them to create sustainable competitive advantage for our Organizations then we need to “bake them into” our core strategies, their execution and the realization of all outcomes. This approach can only be successful when driven by the CEO and Board, from the very top into all levels of the fabric of the Organization. There can be no proxy substitutes for true Leadership in any Organization. It is the height of anarchy. In all Organization’s, Strategy, Culture & Core Competencies are formulated and nurtured by the Senior Leadership Team in a coherent fashion and embraced by everyone in their daily endeavors. Creating arbitrary points of focus & soft power structures causes confusion, rancor and competition within the formalized structure of the Organization and its natural hierarchies. Success is difficult enough to achieve without creating a minefield of Organizational disconnects along the journey. In the end, CEO’s and Boards should not be swayed to adopt Fashion Statements, False Gods or Superheroes. The Chief Whatever Officer Syndrome is an amalgam of all three with no long-term sustainable benefits.